We were interviewed by Mindy Todd of The Point. 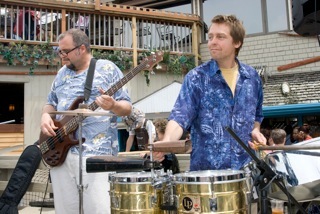 Here's the link to the program: http://capeandislands.org/post/music-lives-martha-s-vineyard. What made it special was that she interspersed musical pieces with the interview. Give it a listen! Music on Martha's Vineyard was published by the History Press in the autumn of 2014. This well-researched volume traces Vineyard music from chanteys sung on whaling ships through the dance bands of the early 1900s at the Tivoli in Oak Bluffs. The Vineyard Haven Band began in 1868 and still toots its horn. The Moon Cusser Cafe was at the forefront of the folk music revival in the '60s. 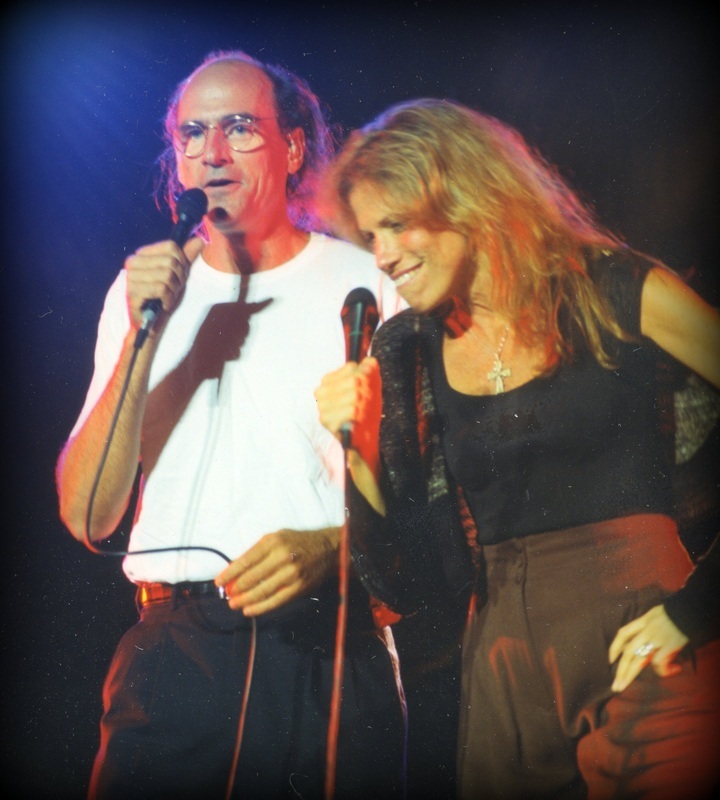 James Taylor got his start on Martha's Vineyard. Today, tourists and locals gather to listen to the local talent. Filled with dynamic images of the musical past and intriguing details about the current music scene, Music on Martha's Vineyard is a delightful read for music aficionados young and old. 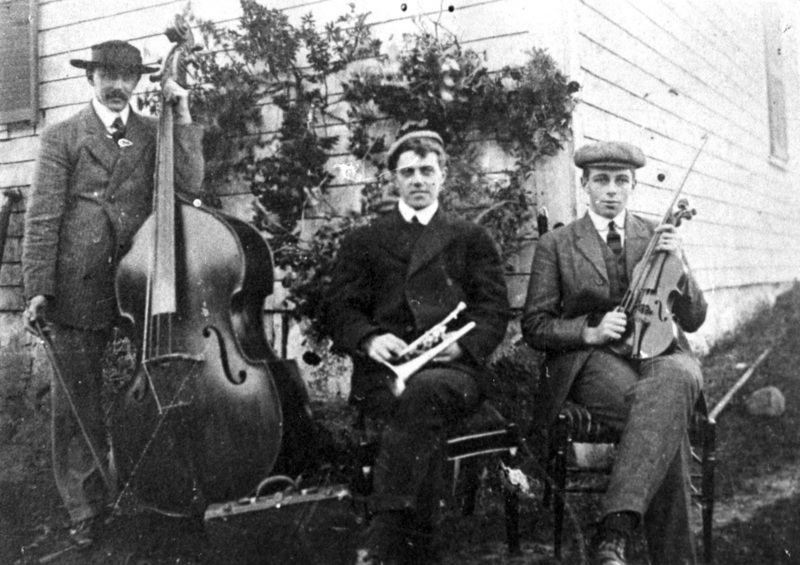 Music on Martha's Vineyard is available through the History Press (historypress.net). Or fill in the contact form below, and we'll send you a copy for $20, postage free! Great book launch on September 28, 2014. Fun to mingle with musicians. Sold a bunch of books on a beautiful afternoon. Here's a link to a review of Music on Martha's Vineyard, by Tony Omer, published in the Martha's Vineyard Times on October 30, 2014. Nice mention in the Cape Cod Times : "Here is a book I frankly never expected to see, but thank goodness it has been written." Also the Vineyard Gazette had a nice piece and there was an excerpt in Martha's Vineyard Magazine. Fill out the form below to order Music on Martha's Vineyard today for only $20, or order from Amazon.com. Music on Martha's Vineyard is available at Off Main and Island Music and Bunch of Grapes in Vineyard Haven. You can purchase a copy at Secret Garden or Jim's Package Store in Oak Bluffs. And the book is also carried at Edgartown Books.